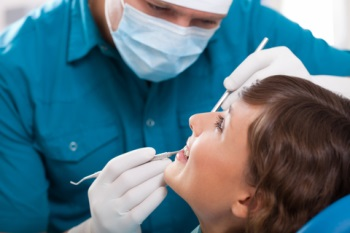 How Much Does a Dental Cleaning Cost without Dental Insurance? No Dental Insurance But Need a Teeth Cleaning? Do you need a teeth cleaning but can’t pay for it without insurance? Cleanings aren’t typically too expensive, but they can be without dental insurance. Understanding the importance of dental cleanings and what prices you’re looking at can offer some incentive to visit a dentist near you as soon as possible. How Much Does it Cost to Get a Teeth Cleaning? A dental cleaning costs anywhere from $75 to $400 with no insurance depending on the age of the patient and the type of cleaning needed. Below are average prices for cleanings. Why Do I Need to Get a Cleaning? Dentists can remove plaque that you have missed when you go in for regular dental checkups, which can prevent gum disease and keep your mouth healthy. If gum disease is left unchecked, plaque will move further into the tooth root and destroy the supporting bone, which can loosen teeth and make them fall out. Foods, drinks and bad habits like smoking can all stain your teeth. Going in for cleanings can help whiten your teeth. Cleanings promote good oral hygiene, which is key to preventing bad breath. Dental health is tied to overall health. Taking care of your dental health will keep you healthy. The kind of cleaning you get at your dentist will depend on your age and the health of your mouth. Here are the four cleanings your dentist will decide upon based on that criteria. Child Cleanings: Children should first see the dentist when they are one year old, or after their first tooth comes in. By the time they’re three or four years old, they will begin having cleanings. These cleanings are catered to the children to make them feel more comfortable. When children go in for cleanings, dentists will usually give their assessment of the child’s oral health and what needs to be done to improve it; they’ll also talk about orthodontic concerns if there are any. Regular Adult Teeth Cleanings: For adults who have healthy gums, or even early gingivitis without bone loss, a regular adult cleaning is all that’s necessary. Your dentist will remove any plaque, tartar and bacteria and will polish your teeth. Deep Cleaning—Scaling and Root Planing: If you have gum disease, however, a deep cleaning may be necessary. This cleaning involves scaling and root planing, which are methods used to clean between the gums and teeth down into the roots. Sometimes a local anesthetic may be needed to numb your gums and the roots of your teeth. Periodontal Maintenance: This is another cleaning that dentists use to stop the progression of periodontal (gum) disease. During this cleaning, your dentists will remove tartar and plaque build-up above and below the gum line, get rid of any stains on your teeth and help improve your breath. While prices for teeth cleanings aren’t too unreasonable, if you can save money, you’d probably like to, especially if you have to pay for cleanings for you and the whole family. There are insurance alternatives and different types of insurance that can help cut that cost for you. If you are without dental insurance, consider a discount dental plan, such as the Careington 500 Series Dental Plan. Here’s a sample list of prices for California, New York and Texas for cleanings with the Careington 500 Plan. With the significant amount of money you can save on dental cleanings, signing up for a discount dental plan, or another insurance or insurance alternative, can help make your regular dental checkups manageable.